Come see what everyone is talking about! 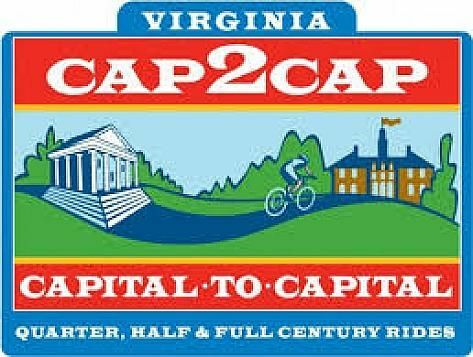 The VCU Cap2Cap celebrates the Virginia Capital Trail. Do you want to spend the day touring historic plantations and farms while traversing 100 miles? Or do you feel more like a challenging but gorgeous 50-miler? How about a comfortable 25 miles or a 15-mile fun ride all along the Virginia Capital Trail? All distances offer captivating scenery and a fantastic day of fitness and fun! We are excited to announce that we have consolidated our Richmond and Williamsburg venues into a single, historic venue located at the Charles City County Courthouse. Picture one big party, with more fanfare and an even bigger vendor expo and post-ride celebration following the ride. Each historic route brings you back to where you started — happy and hungry and ready for more Cap2Cap fun! Take in the abundant beauty as the route brings you through Civil and Revolutionary War battlefields and across farmland that remains largely unchanged since our country’s colonial days. When available along your chosen route, please hop on the newly completed, beautiful Virginia Capital Trail and enjoy a safe spin on this world-class amenity! The routes are fully marked with a police presence at major intersections. Rest stops provide snacks, water, sports drinks, basic first aid supplies, portable toilets, and basic bike technician support. Lunch is included in the price of registration. There will be additional lunch tickets available for purchase. The ride venue will also host a vendor expo, a VCT merchandise table, and live bands for entertainment. Beer will be provided by Hardywood Park Craft Brewery and wine will be provided by Williamsburg Winery. Prices rise on December 31, February 8, April 5 and May 10.